I am inviting you to join me on your own time and in the comfort of your own space with your Bible. 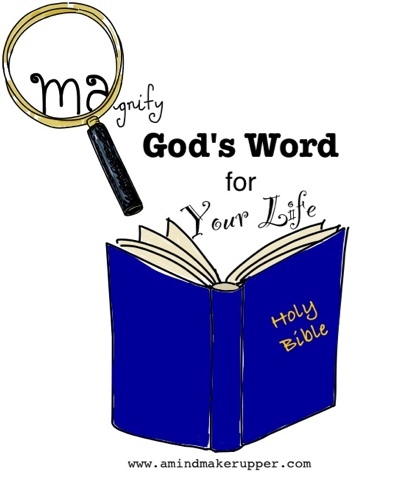 Let's start reading and magnifying God's word for our lives together, going straight to the source. I am willing to share and talk about what I am reading each week. I can even add things that I find helpful as we go along. I hope you will feel free to do the same. It will be an on-going, come as you are, jump in any time, simply see what happens when we read the Bible every day adventure! God has something to say to each of us. Spread the word, invite others, and let's do this! May God's word speak to you and inspire you as you read!